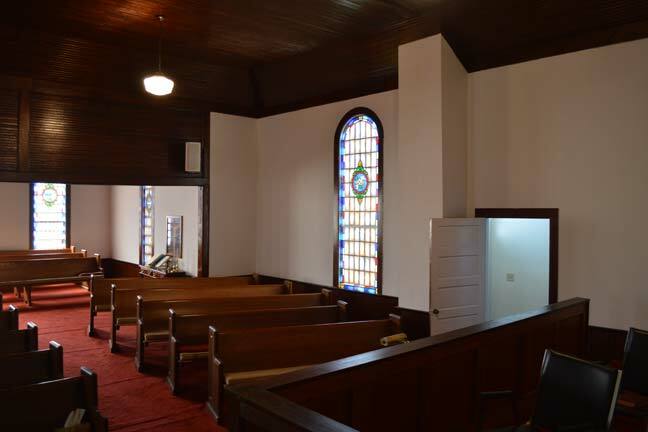 The Oak City Christian Church (Disciples of Christ) was organized in 1919 under the guidance of Rev. James M. Perry. Perry preached every second Sunday afternoon. The church, with its twenty-five members, was enrolled into the North Carolina Missionary Society on November 6, 1919. The membership grew by an additional twenty-eight members in 1921. Then in July of 1922, an additional thirty-four members were added to the roll. The Gothic Revival style building features five lancet-arched stained glass windows and a two-story bell tower with a broached hexagonal roof and a hip-roofed porch. 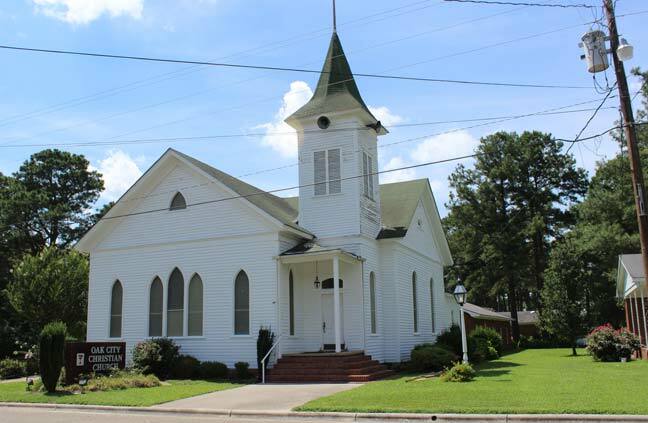 The church is still an active part of the Oak City community and holds regular services.